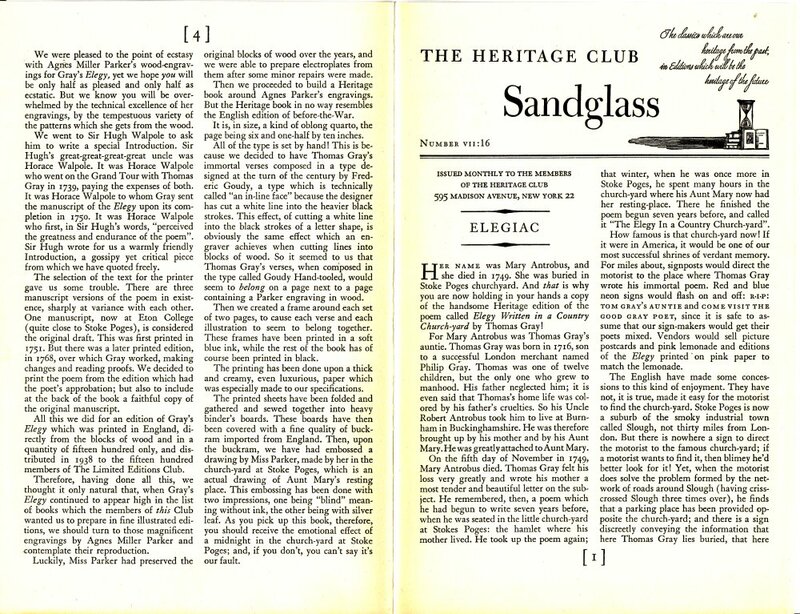 Reprint of LEC #133, 13th Series, V. 4 in 1942. 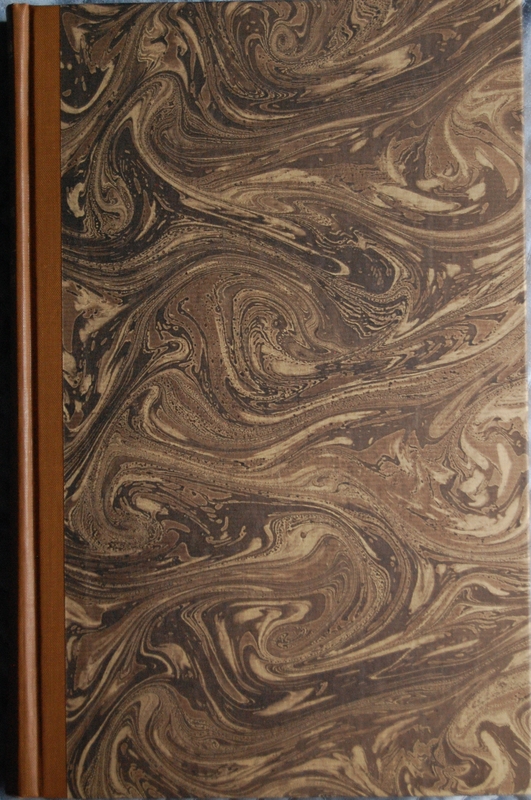 Front Binding – A wonderful marbled set of boards for you here, with tan cloth for the spine. Alas, I don’t have the Sandglass for this book, so I’ll be hoping to net some info from somebody to inform you about the book’s creation. 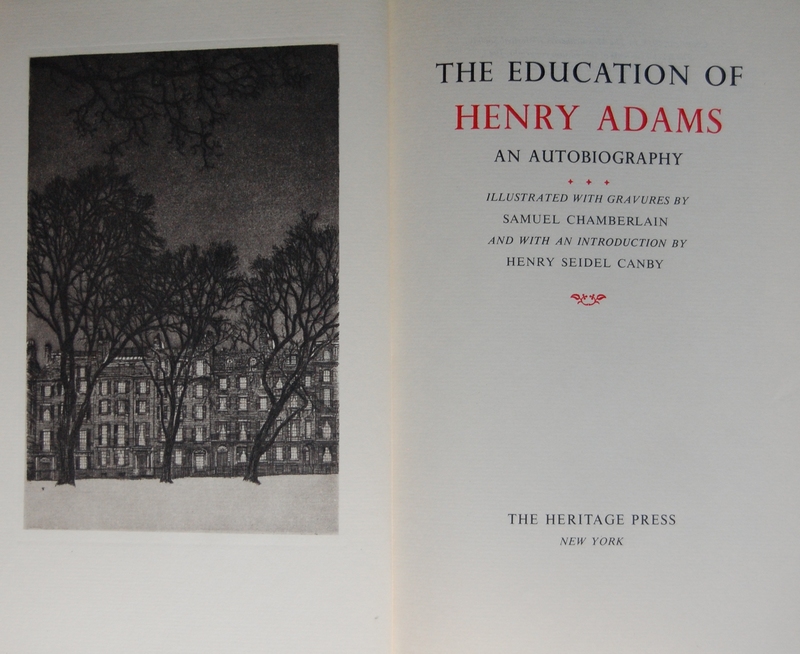 Henry Adams is best known for this autobiographical work, with Mont-Saint-Michel and Chartres not too far behind. He was well regarded in his day and age for his knowledge of history, even teaching at Harvard for a while. He also was a journalist, intellectual and was tied to the Adams family of presidents. He would see the two works I discuss above see LEC and Heritage editions. Samuel Chamberlain only worked for the George Macy Company on the two Adams works. 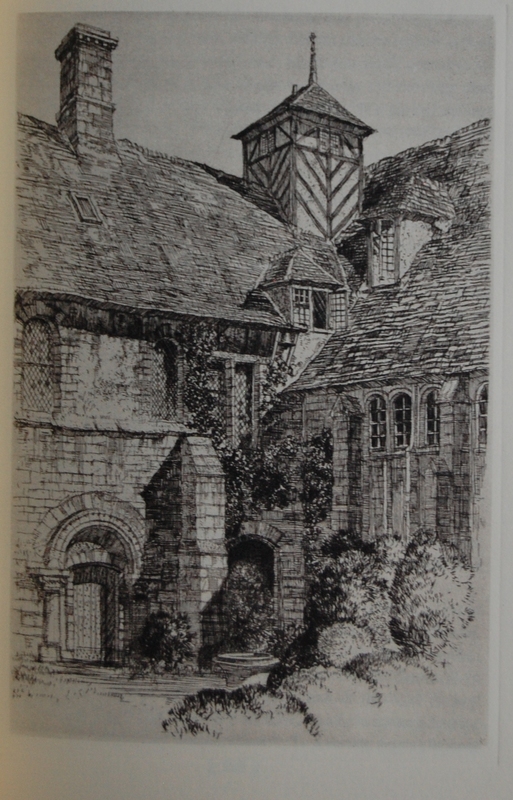 Here he provides gravures, and for Mont-Saint-Michel he supplied a photographic touch. I assume that this here is an obituary on him; it certainly sounds appropriate. 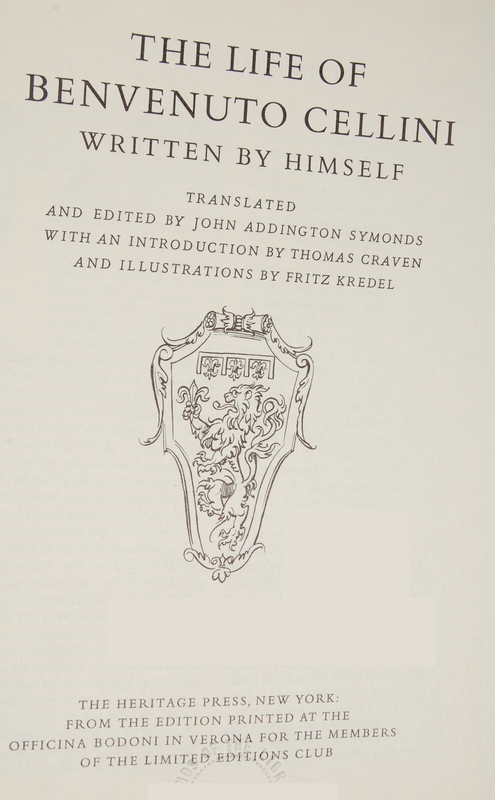 Title Page – Henry Seidel Canby gives an introduction. Chamberlain is doing a fine job in my book. His landscapes are very nice. Personal Notes – I bought this from my local library for $8 or so a couple years back. Wish it had the Sandglass, but the book was in very good condition save some water spots on the spine. 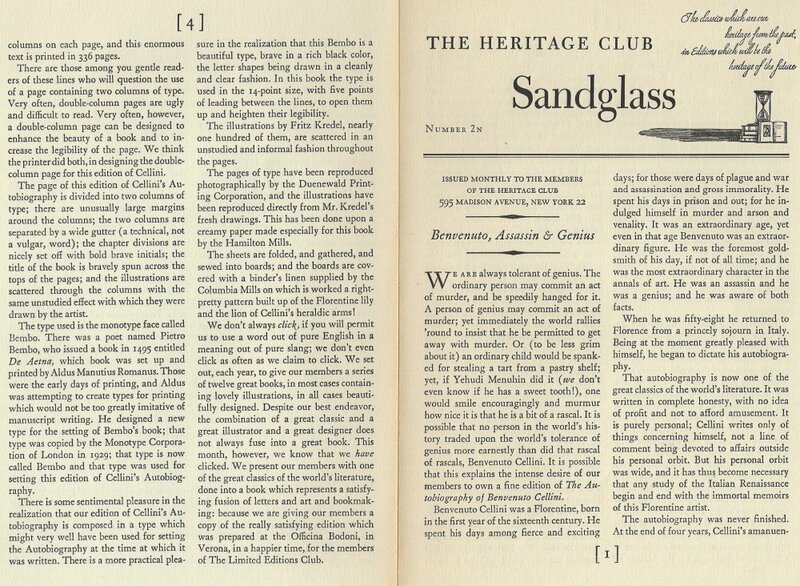 If you have a Sandglass for the Heritage New York printing, or the LEC edition (for comparison), please drop me a line here or through the comments at my thread about this blog at the George Macy Devotees @ LibraryThing! I could use extra insights into this book’s creation. Thanks! 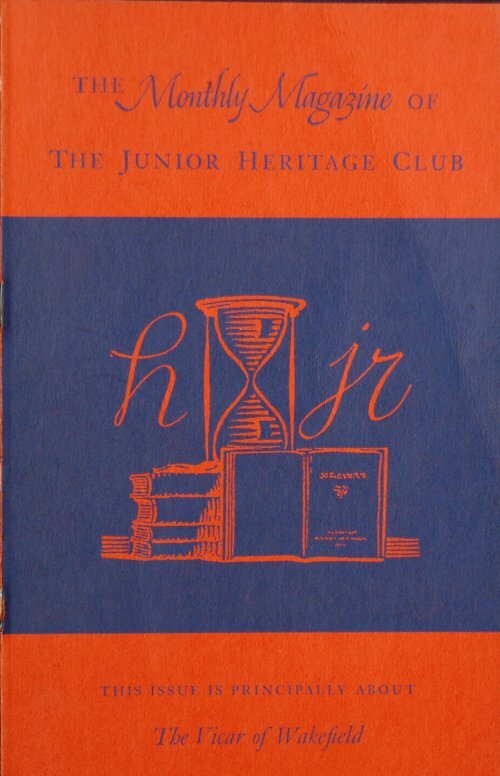 Heritage Press Exclusive, printed as a standard Heritage title as well. 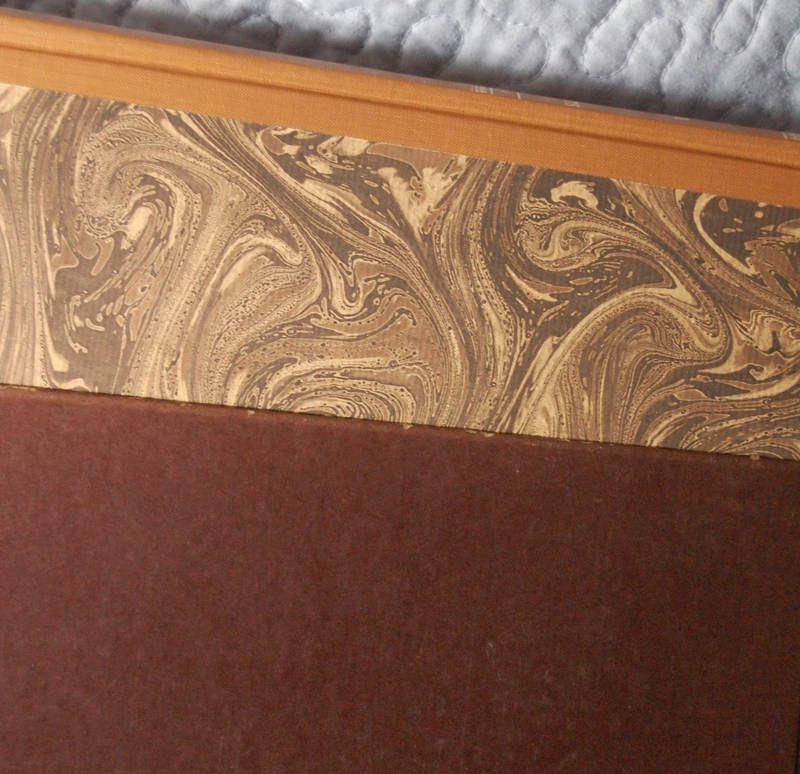 Front Binding – Ah, our second Illustrated Bookshelf piece. 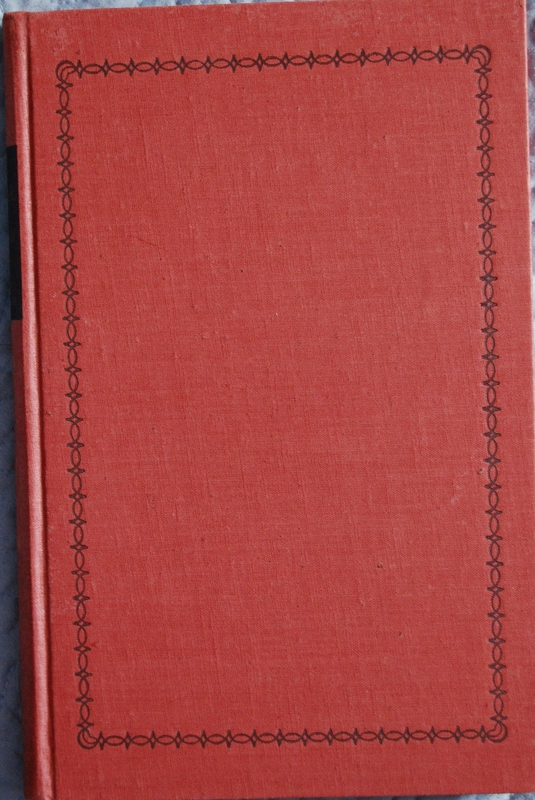 The first was Twain’s Tom Sawyer, and finally I can share the first “complete” one I own (in fact, at present it is the only one! 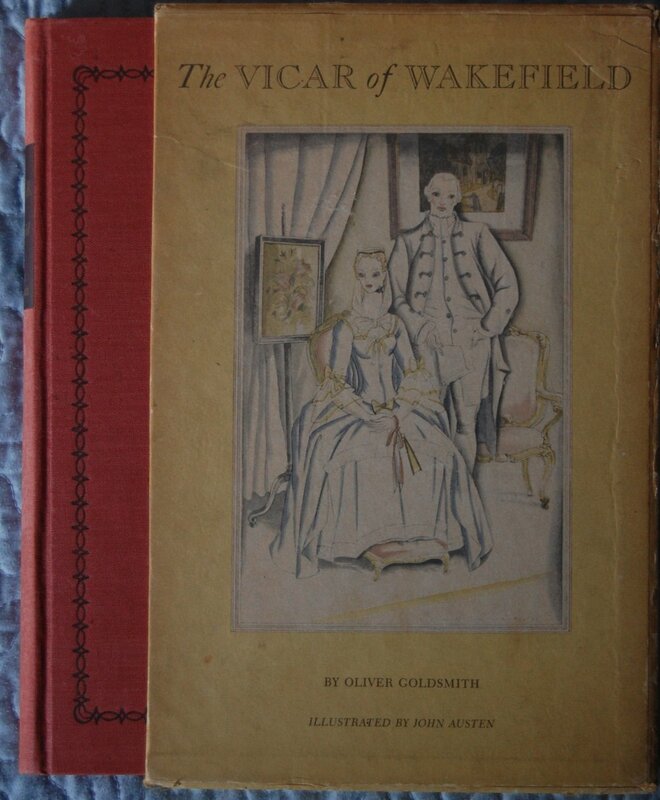 ), Oliver Goldsmith’s The Vicar of Wakefield. 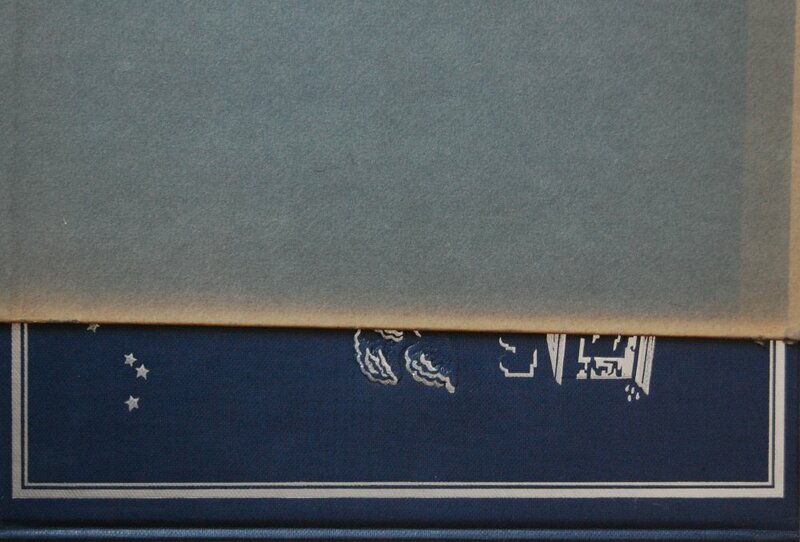 Designed by John Fass, this book never saw a LEC edition, so Macy purists will have to settle for a Heritage edition. Some quick production details: W.A. 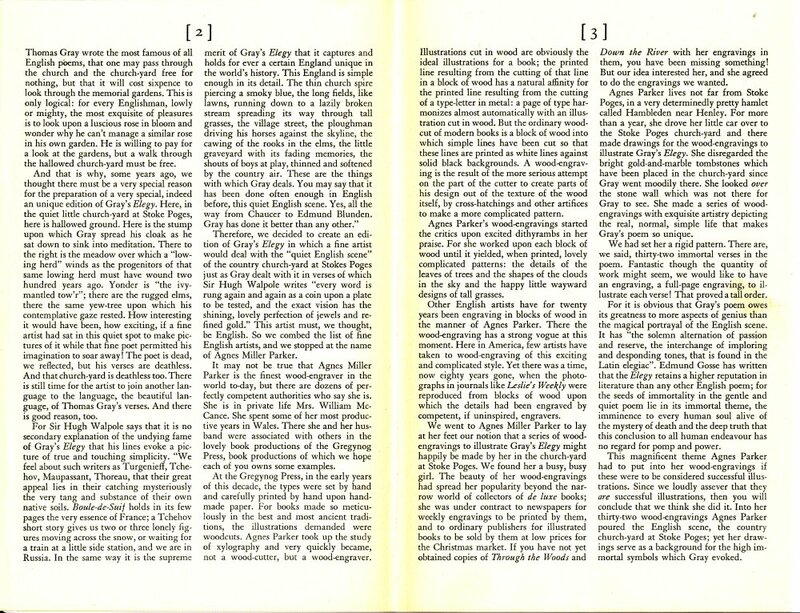 Dwiggins’ Caledonia font is what renders the text, done at a 12-point size. 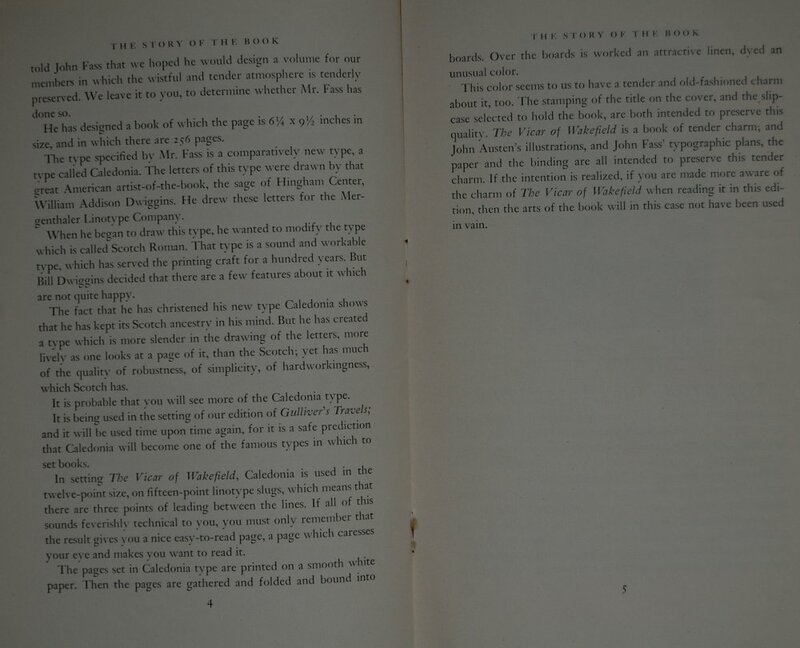 Unfortunately, Macy fails to mention the publishing house who printed the work and the bindery who bound it (just my luck today it would seem, as Elegy Written in a Country Church Yard also left out that crucial information!). 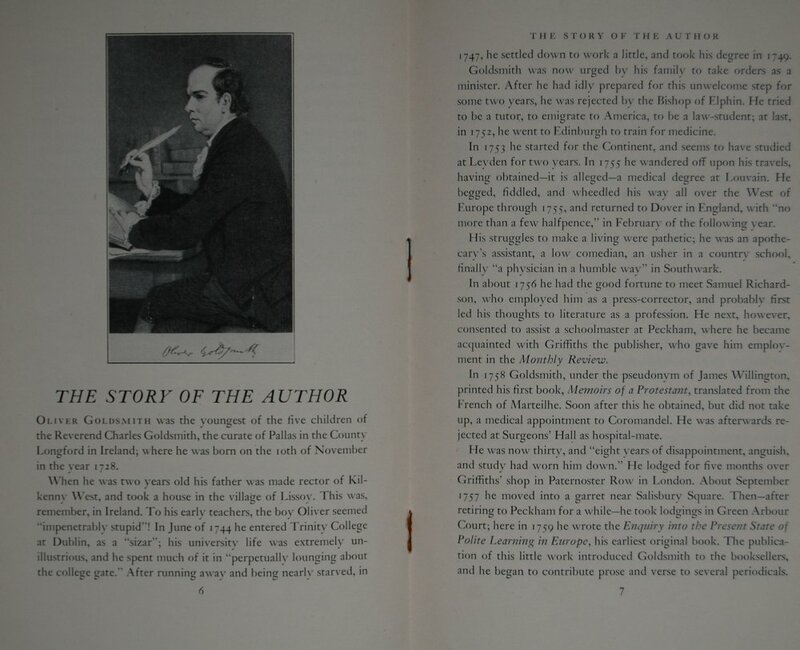 John Austen was a very productive member of Macy’s artist pantheon, and there’s a nice essay on Austen by Austen in the Magazine you may want to peruse. 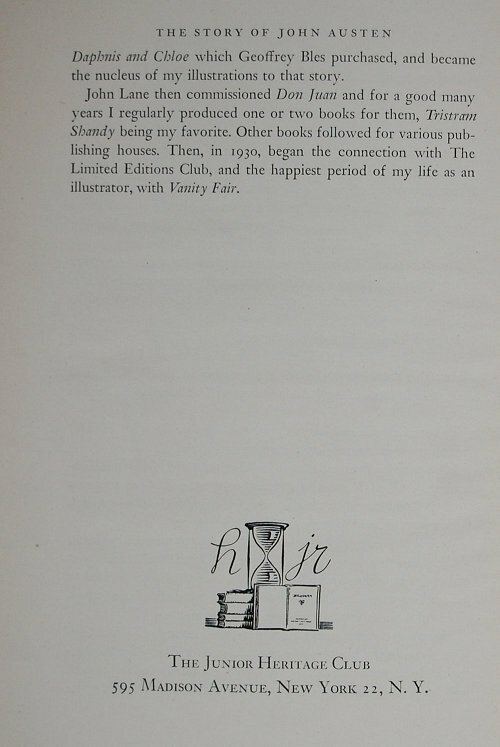 He calls joining the Limited Editions Club “the happiest period of my life”, and you can see the results in every book he had a hand in, including this one. I’ve failed in my duties to elaborate on his career with my earlier posts spotlighting his work, Vanity Fair and The Faerie Queene, so I’ll do it now and save myself some grief. 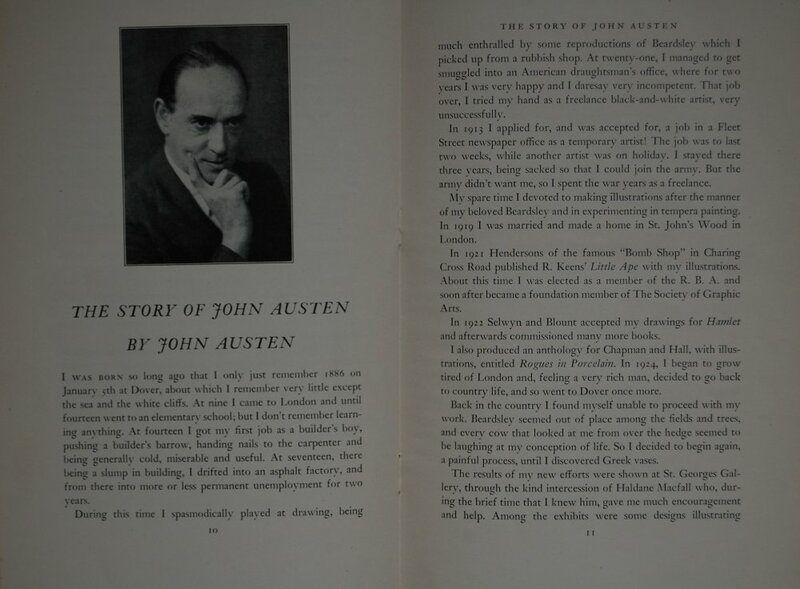 Austen began his work for the LEC with Vanity Fair in 1930, and following that he rendered for the LEC The Pickwick Papers by Charles Dickens in 1933, The Adventures of Peregrine Pickle by Tobias Smollett in 1935, The Frogs by Aristophanes in 1937, The Adventures of Gil Blas of Santillane by Alain Rene Le Sage in 1938, The Old Wives’ Tale by Arnold Bennett in 1941, and The Faerie Queene by Edmund Spenser in 1953, which was published after his death and also featured the woodcuts of Agnes Miller Parker. 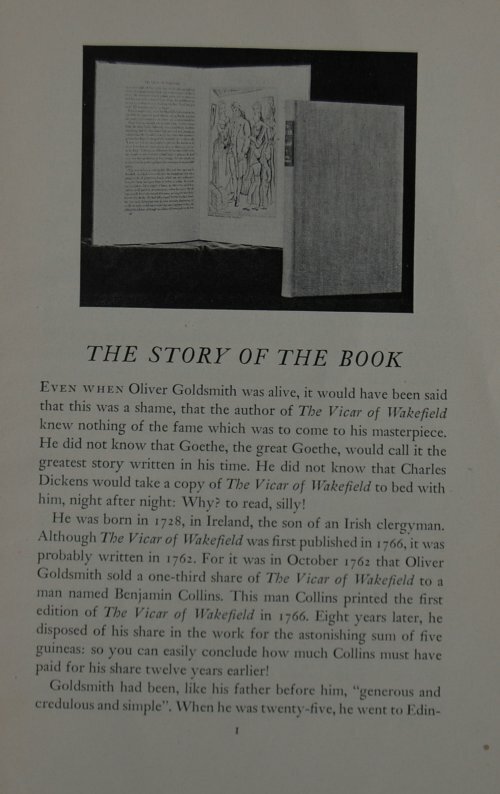 Several of these books were bound at Oxford University Press in similar slipcases, with dustjackets, in two volumes, and all had common design philosophies. As far as I know, all of the above save The Frogs were published in this way. 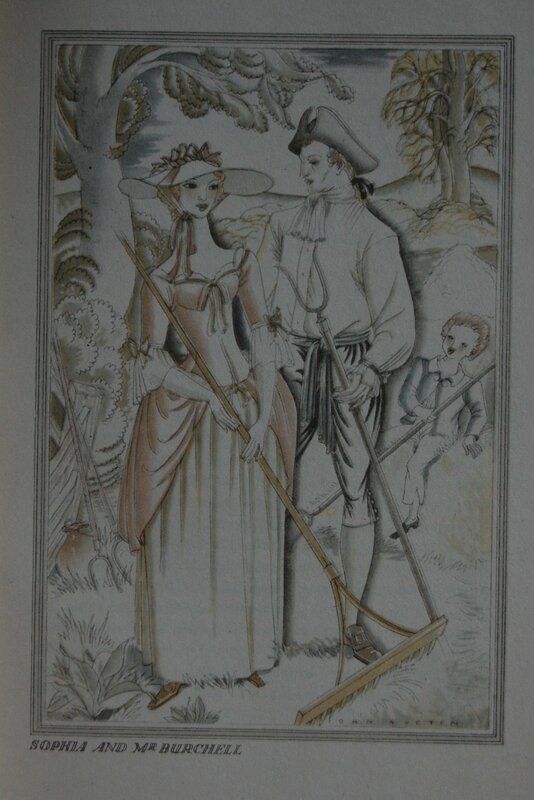 Austen was also a player in the LEC Shakespeare, contributing his touch to The Comedy of Errors. 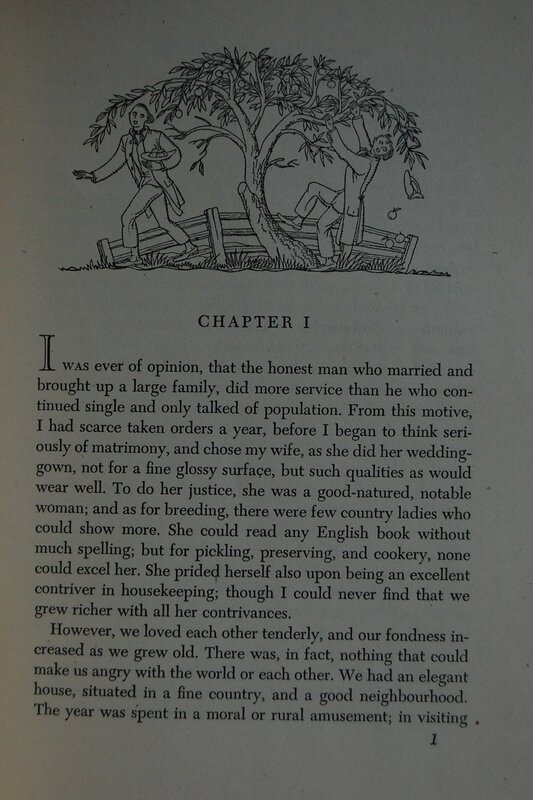 He also did several exclusive Heritage books, including this particular work, Dickens’ David Copperfield, and R.K. Blackmore’s Lorna Doone. He was a busy man, no question. 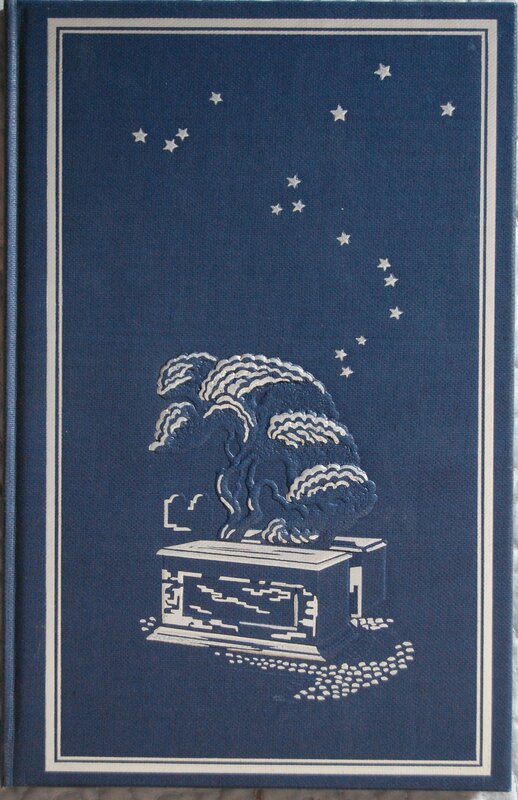 Slipcase – A little unusual for a Heritage slipcase to feature artwork and author/artist information, but apparently this was common for the Illustrated Bookshelf line. 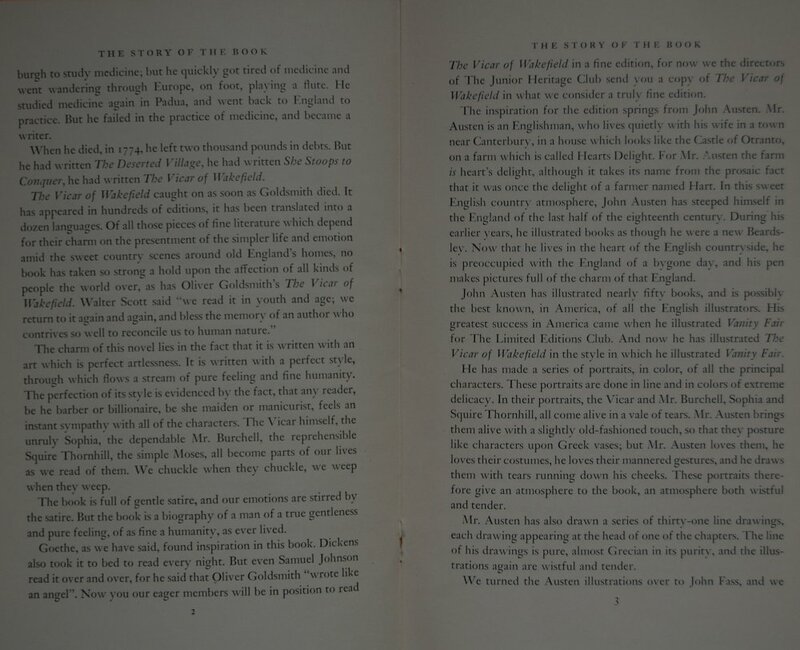 Title Page – The paper used in this edition is interesting. It has tiny speckles throughout that give it a sort of “recycled” feel, although I doubt much of that was going on in 1939! Austen’s work is beautiful, as usual. 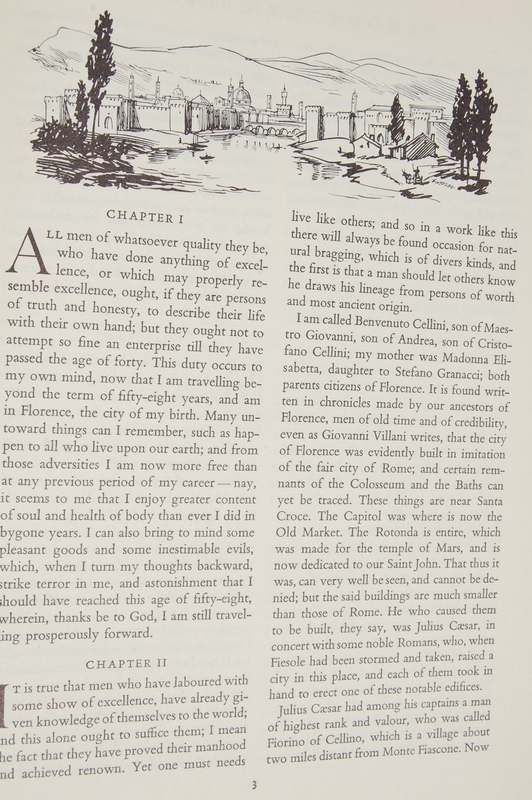 He has pen drawings at the beginning of each chapter along with these “portrait” pieces scattered throughout the text. 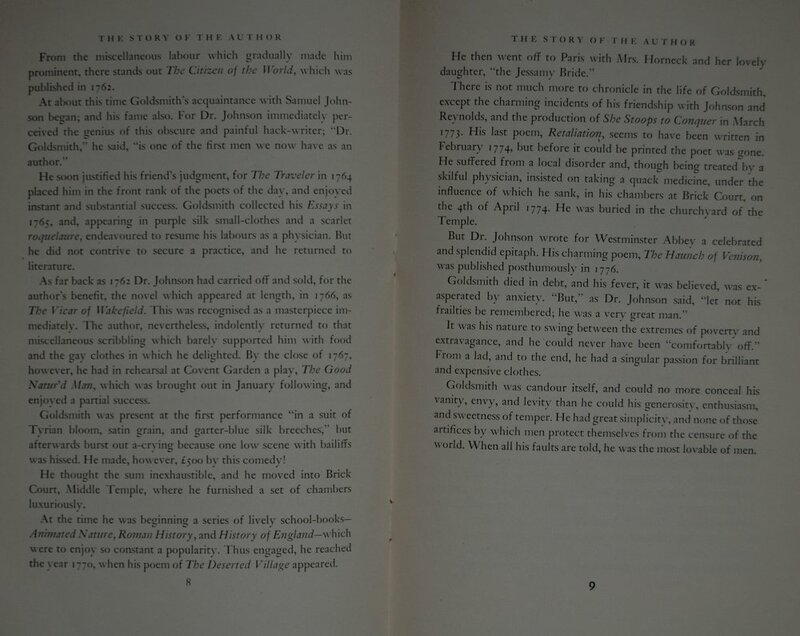 Page 1 – Example of the pen drawings. Personal Notes – I picked this up from my bookselling gig at a used book shop in my college town in Merced. I think I paid $10 for it. 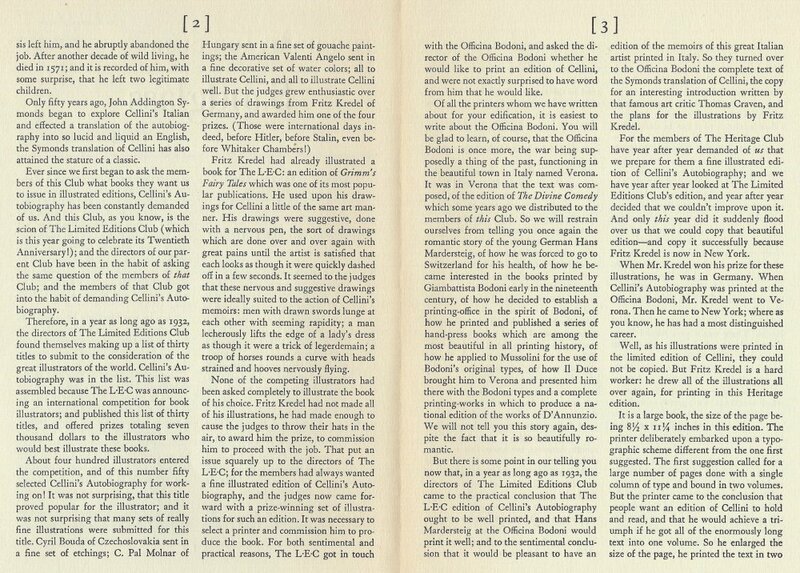 It has someone’s name written in pen in it, and it’s somewhat battered, but it was a complete book despite its flaws, and the Monthly Magazine seemed fascinating. I’ve photographed it in its entirety below for you. Front Binding – After a bit of a hiatus, your curator is back with some more posts. 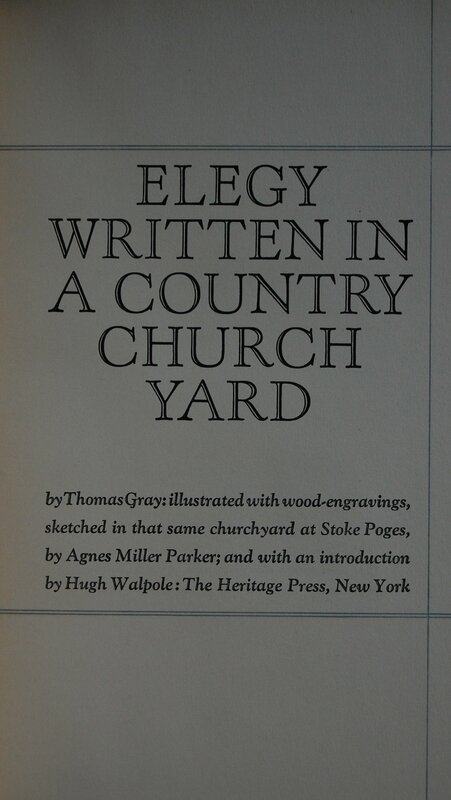 Today’s is a real gem, a reprint of the 1938 LEC Elegy Written in a Country Church Yard by Sir Thomas Gray. 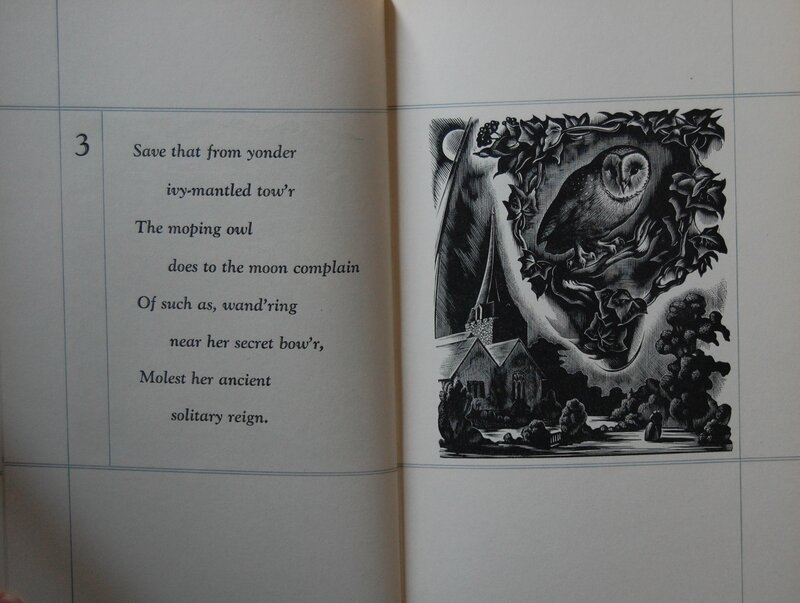 This would be the sole work represented of the poet by the George Macy Company or its successors, but it did launch the relationship between Macy and the incomparable Agnes Miller Parker, who does some of her finest work in this book. I am a huge fan of Parker’s. 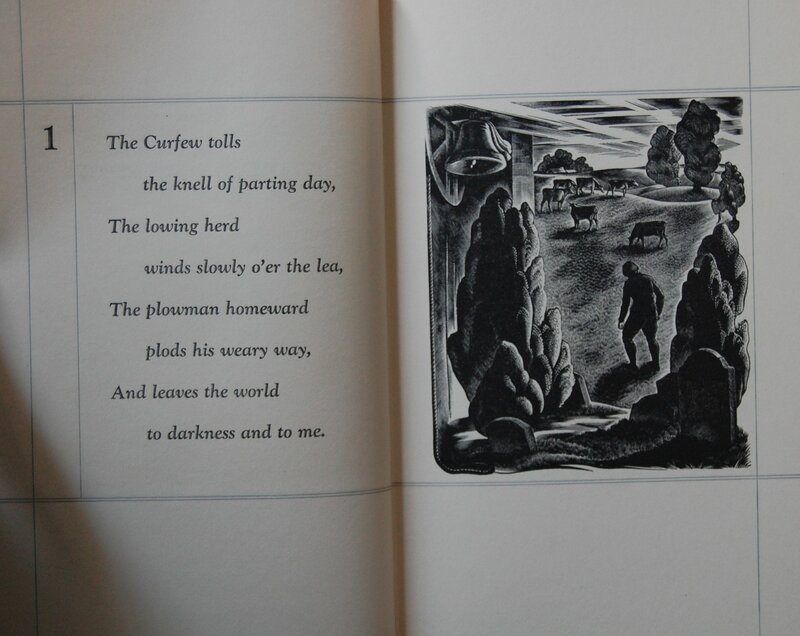 I bought the LEC Far from the Madding Crowdmainly because it included a print of hers. For the design particulars, the Sandglass is surprisingly silent about that. I don’t know who designed it, nor who bound it, nor who printed it. So, I’ll just pass along what I can. 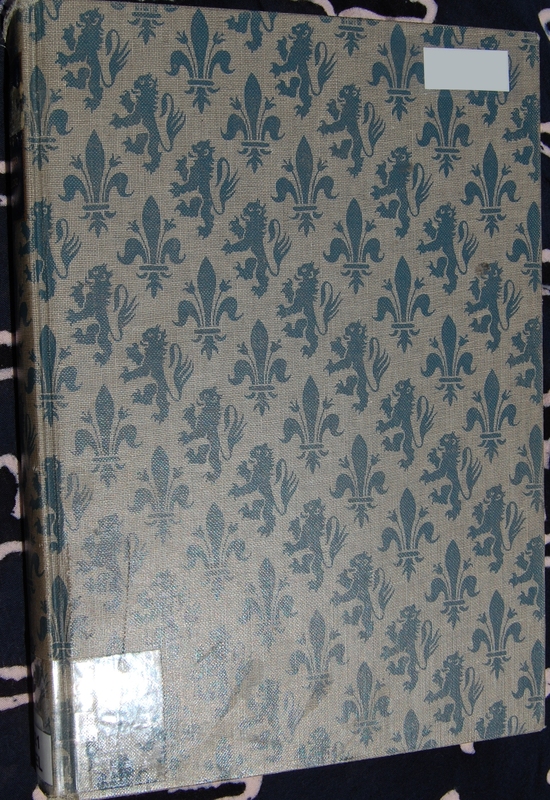 The binding here is taken from one of Miss Parker’s wood engravings, embossed and stamped in silver over blue buckram imported from England. 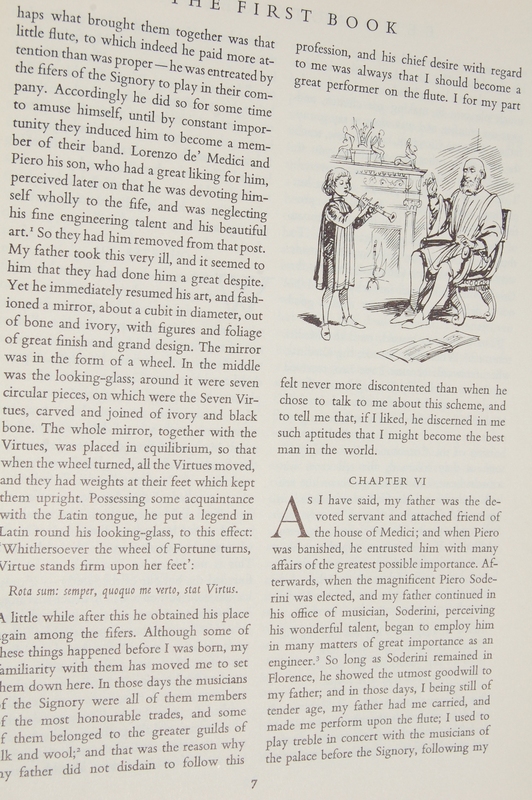 The font is Goudy Hand-tooled…and that’s about all I can say. A little peculiar, this one! Gray composed the poem for a treasured aunt of his, revising a prior work that he was unsatisfied with and finishing the memorial in 1749. He spent much of that revision at his aunt’s grave at Stoke Poges, and Miss Parker spent her time sketching her wood engravings at that very same graveyard. 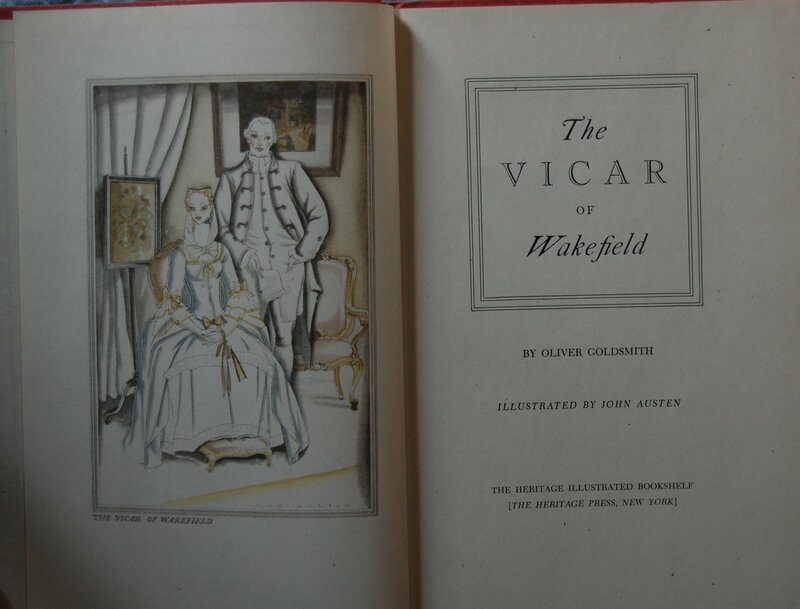 So this is a book that was completely inspired by Stoke Poges, you could say! 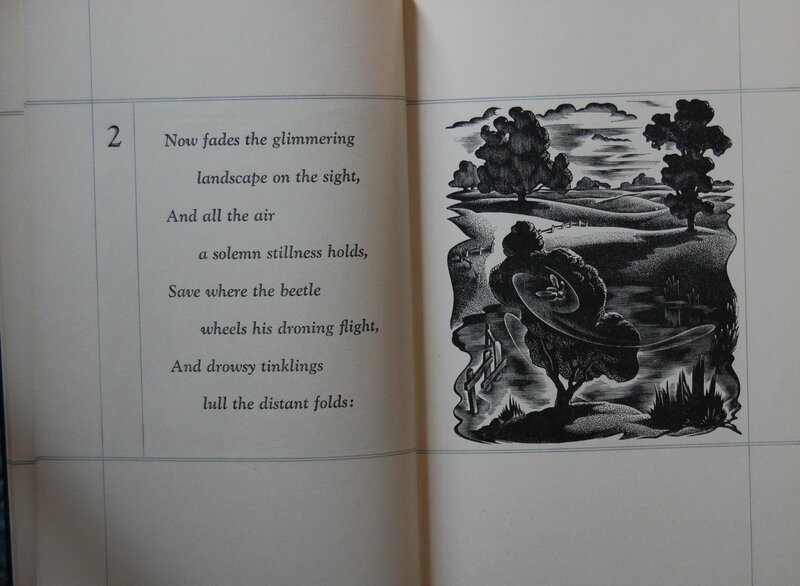 Having read this work, it’s a lovely poem accompanied by lovely art, bound lovingly. If you’d like to know more about Miss Parker’s career with the Macy’s, I’ve touched upon that with the post on Far from the Madding Crowd. 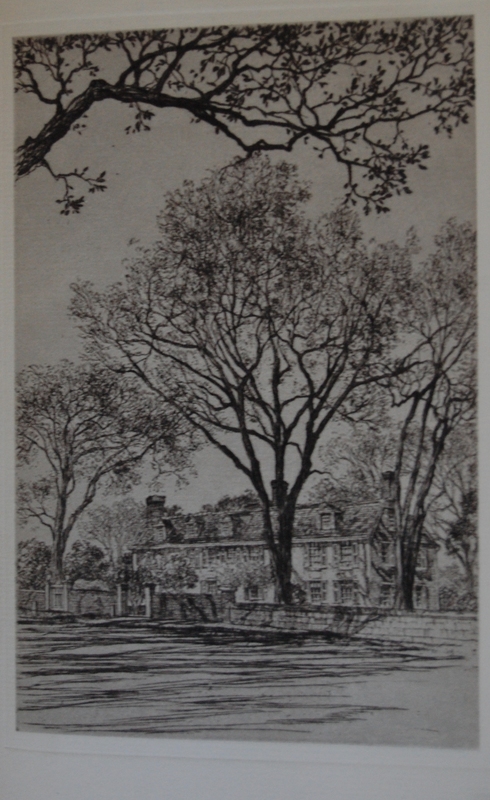 Title Page – Hugh Walpole provides an introduction; his great-great-great-great uncle Horace Walpole (The Castle of Otranto) was a friend of Gray’s back in the 18th century. It has a distinctive look with the blue crisscrossed lines, which it maintains throughout the text. Stanza 1 – Parker has done some lovely work in here, and I’ll just let it speak for itself. Amazing artist, that she was. Personal Notes – I got this for $10 – 12 or so in Monterey at my favorite shop. I haven’t seen the LEC, although I wouldn’t mind owning it, I must admit! Definitely among my favorites in terms of design and artwork. You are currently viewing the archives for March, 2012 at The George Macy Imagery.